On the 22nd of April, physical and human geography grads came together to undertake a unique experiment in the form of a ’Human Geography 101’ workshop. 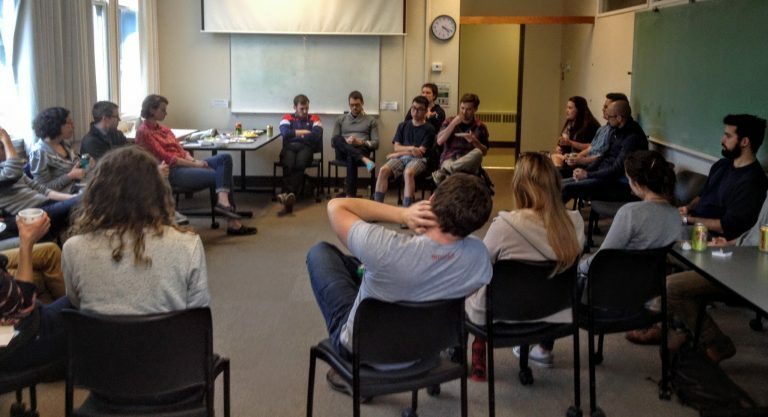 The workshop, organized by the newly minted Geographic Identity Committee, was conceived as a way to foster intellectual and social exchange between physical and human geography grads, a need which has been clearly identified by grads and faculty in the Geography Department. The workshop was the first of a series of events planned by the Committee, with a long term aspiration of fostering collaborative intellectual enrichment and solidarity in the department. Through championing these and other activities, we hope to support the strengthening of intellectual and social bonds between grads, to explore common interests and potential applications of their work, and to generate support for more institutional scale engagement with the topic of geographic identity. The workshop followed an ‘improv’ type format, and involved 4 ‘games’ to explore human geography concepts, key figures/people, and words. 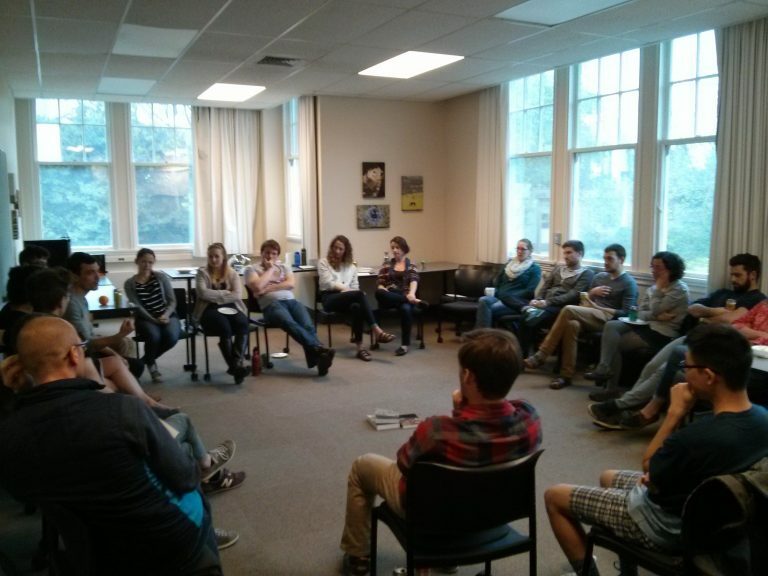 22 grad students came along and contributed to the workshop, roughly split between physical and human geography. We learned about the dispossession of the lion prides in the Lion King by the hyena packs; how Judith Butler probably feels about boy bands; what Foucault got up to in his spare time; that Richard Florida may be the only geographer who can afford to buy us a new building; about performativity, assemblage theory, post structuralist earthworms, and hegemony, amongst other things. Although the intended audience was primarily physical geographers, it provided an opportunity for human geographers to discuss the finer details of particular concepts and offer varying viewpoints and explanations. A major surprise of planning was possibly that the physical geographer organizers thought that their might be such a thing as ‘a definition’ of many of these core concepts! Most importantly: 1) people had fun and 2) based on feedback, it opened up many eyes to the complexity, range and rigor of the research our human geography colleagues are conducting in our department. We look forward to ‘Physical Geography 101’ (although a dating game with famous physical geographers may be a bit dry! ), and to continued opportunities to explore areas of overlapping interest. We welcome ideas from any and all who want to support identity- and solidarity-building in the Department!